Strips of sautéed cactus paddle, tart and lemony, are much beloved in Mexico—where they’re a classic companion for eggs. You can find them in any Mexican market, and increasingly in standard grocery stores, too. Sun-dried, coarsely ground Eastern Mediterranean chile peppers--Aleppo, Marash, and Urfa--have complex flavor and are less spicy than supermarket-variety chile flakes. 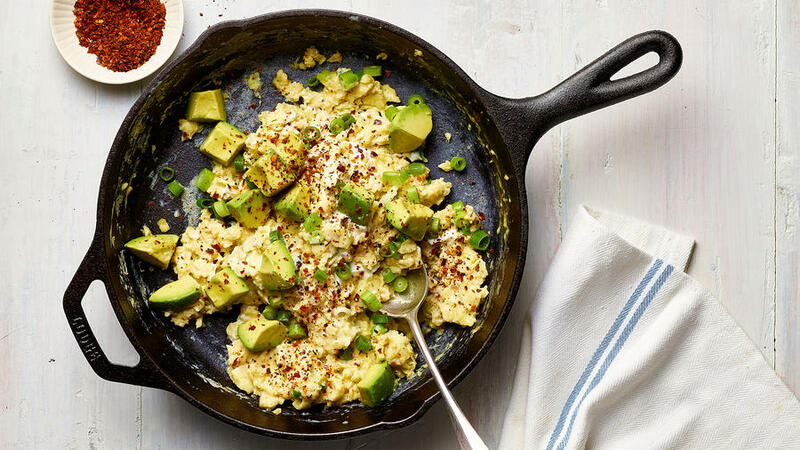 In the Sunset Test Kitchen, we love to sprinkle them on roasted chicken and potatoes, avocado toast, green salads, pizza, and especially scrambled eggs. 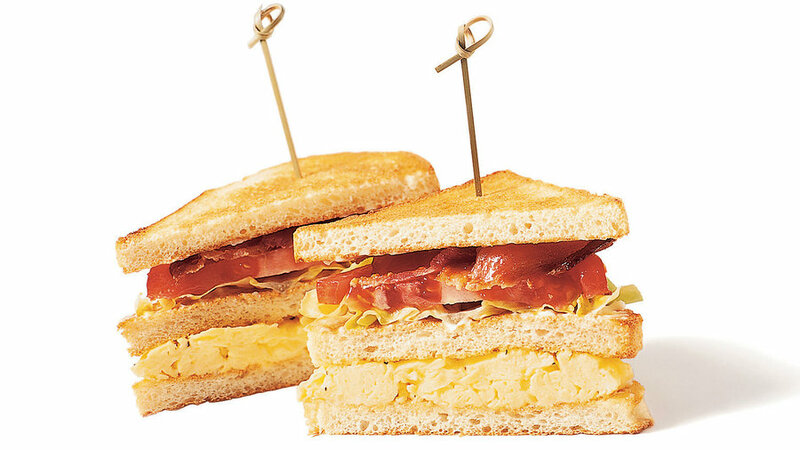 Annie Somerville of Greens Restaurant, in San Francisco, shares her campground breakfast favorite. She likes it so much that she added it to the restaurant menu and it has become a Greens brunch staple. 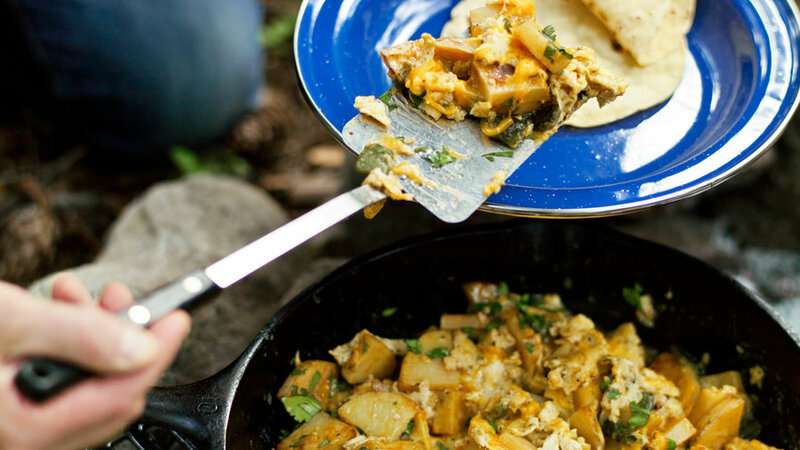 This spicy dish is welcome at home or in camp. Don’t let the name throw you off. It’s just devilishly delicious with a nice hot little kick. This has long been a favorite of college students and visitors to the Big Sky Café in San Luis Obispo, California. 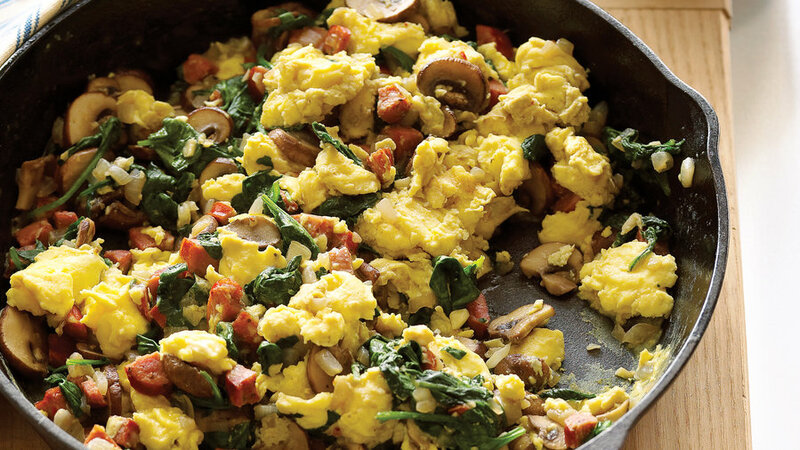 We love this technique for soft, creamy scrambled eggs. 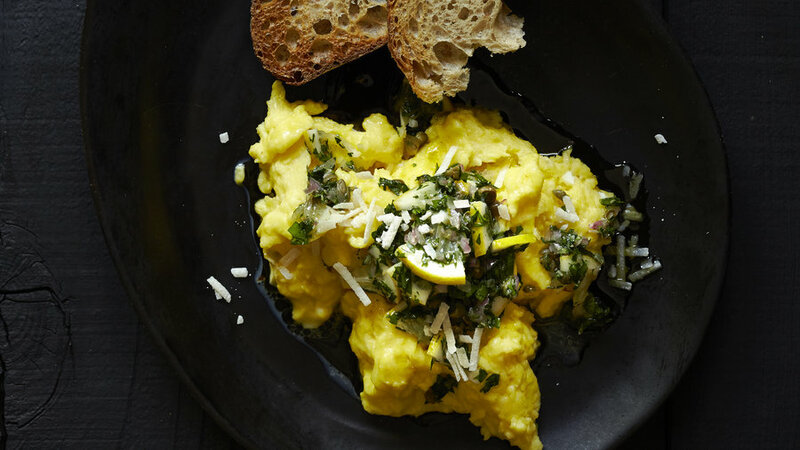 Full-flavored cheeses and a touch of crème fraiche, and a distinctive Meyer lemon salsa verde make this an egg dish you’ll return to over and over. 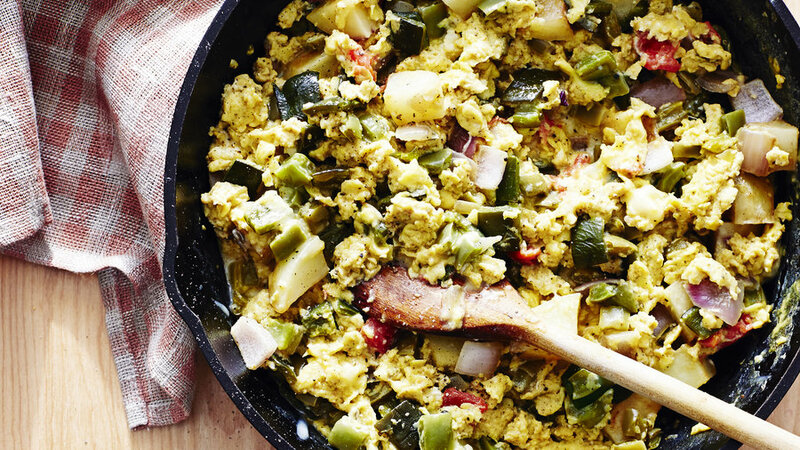 You’ll find lots of uses for any leftover salsa verde. Everyone knows smoked salmon and cream cheese are great on a bagel. 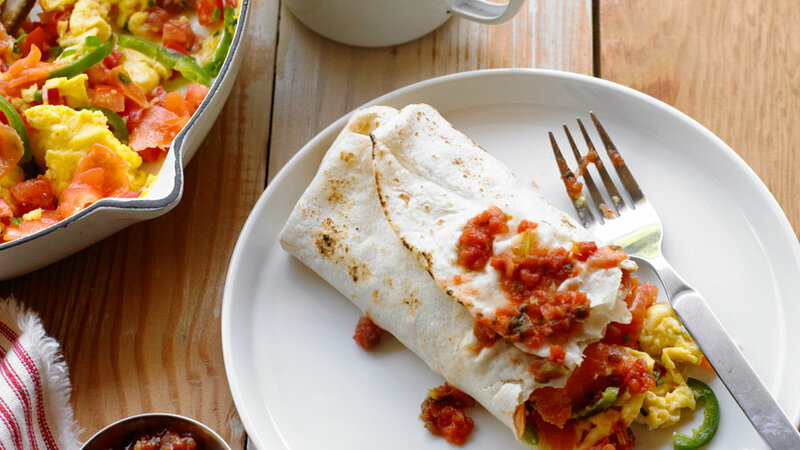 But they’re also delicious combined with eggs and Mexican flavors for a spicy breakfast burrito. 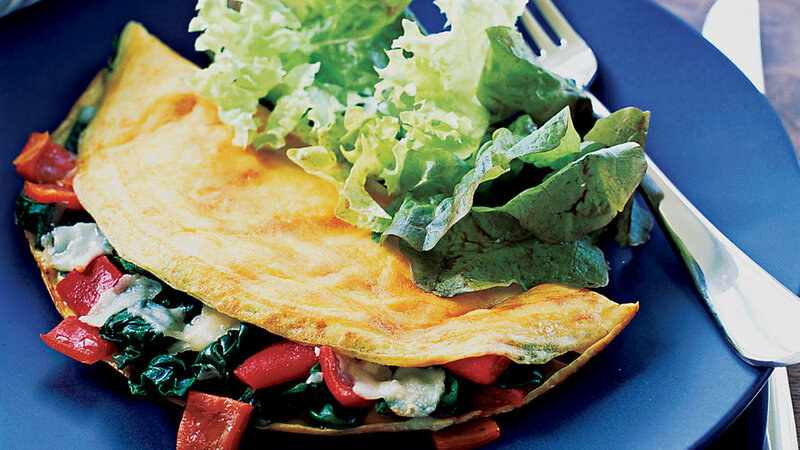 You’ll feel like a French chef once you master this timeless technique. 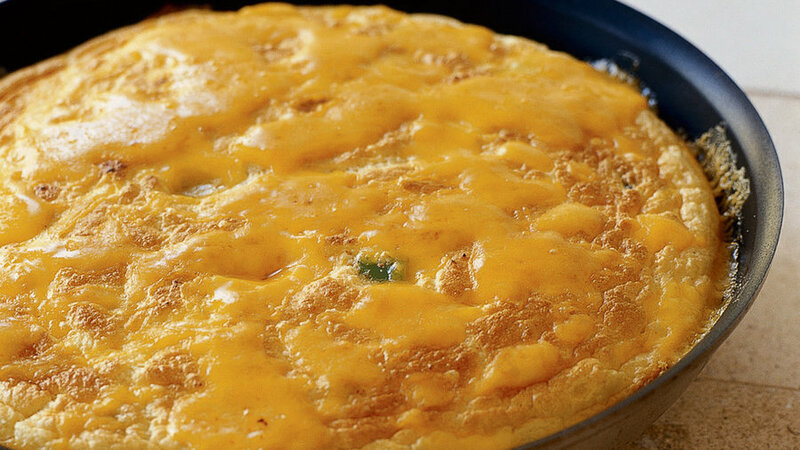 Food writer Kate Washington’s grandmother used to make this comforting, soufflé-like omelet, topped with plenty of sharp cheddar. 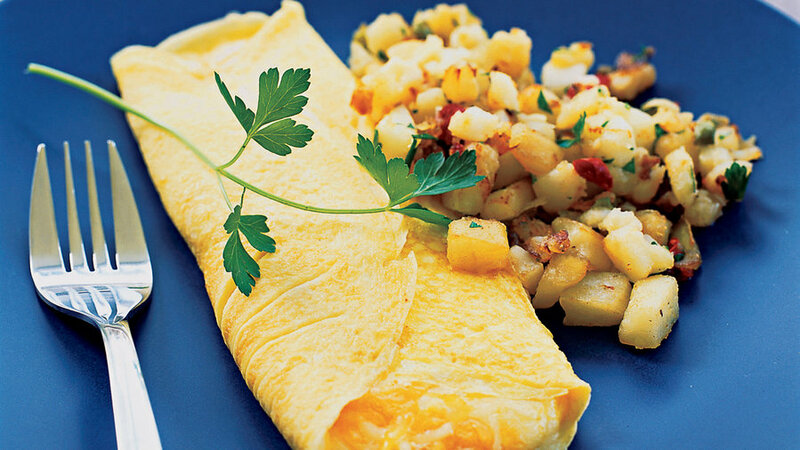 The choices for filling a big fat omelet are many and enticing, and they’re laid out for you in this recipe. 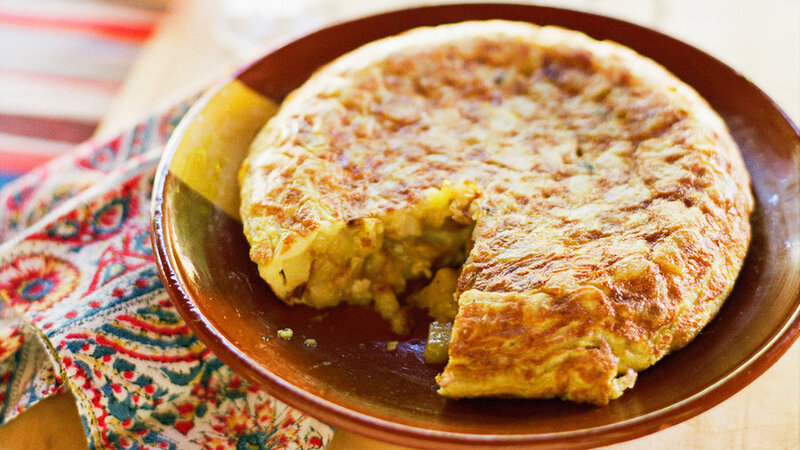 One of the great national dishes of Spain, the hearty simplicity of this potato omelet fits right in with the way we live in the West. The recipe comes from Celia Tejada of Tejada Vineyards in Northern California; her family comes from the Spanish Basque region. You’ll feel like you’re at a great neighborhood diner when you make this top-of-the-morning sandwich.